Online sales now account for 71% of Domino’s total delivered orders in the UK, with 1 in 8 UK population now having downloaded the pizza chain’s app. 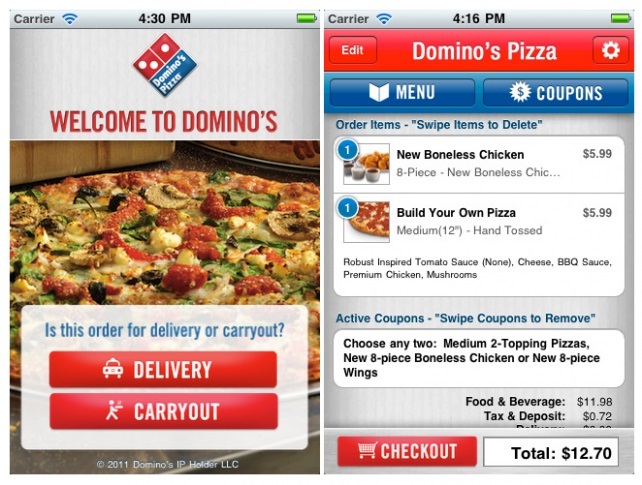 Domino's appears more than comfortable with consumers' towards mobile commerce, despite a security breach last year. In the UK and Ireland, over 44% of orders came through a mobile device. The company has released free iPhone, iPad and Android apps from which customers can place an order. In 2014 the company "enhanced" its mobile app, launched a new website and diverted marketing funds into digital media. Domino's said customers who shop online now have a higher rate of conversion, spend more per visit and visit more frequently. Analysis- an age of ‘all commerce’? Phil Stelter, managing director of Unique Digital commented: “Today, it’s all about instant transactions. Domino’s staggering sale surge, with 1 in 8 of the UK population downloading its mobile app, demonstrates the rising power of this channel. Consumers want pizza now rather than picking up the phone, and apps can provide a quick and convenient solution.